Here are some sobering figures from John Burns Real Estate Consulting on how the meteoric rise in student loan debt is having a very appreciable effect on the housing market. Student debt has ballooned from $241 billion to $1.1 trillion in just 11 years. 29 million of the 86 million people aged 20–39 have some student debt. Those 29 million individuals translate to 16.8 million households. Of the 16.8 million households, 5.9 million (or 35%) pay more than $250 per month in student loans, which inhibits at least $44,000 per year in mortgage capability for each of them. About 8% of the 20–39 age cohort usually buys a home each year, which would be 1.35 million transactions per year. This trend does not seem likely to abate either. With college debt increasing by about 6% every year, there is every reason to believe this trend will continue, and probably worsen, John Burns Real Estate Consulting reports. 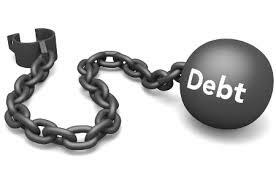 For this year alone, the John Burns Real Estate Consulting report estimates that heavy college debt will reduce real estate sales by 8% for this year. Increasingly, the chances of younger generations living better than their parents (at least materially speaking) is no longer very promising.